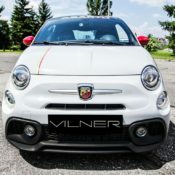 Gone are the days when Vilner was a lowly interior specialist from Bulgaria. 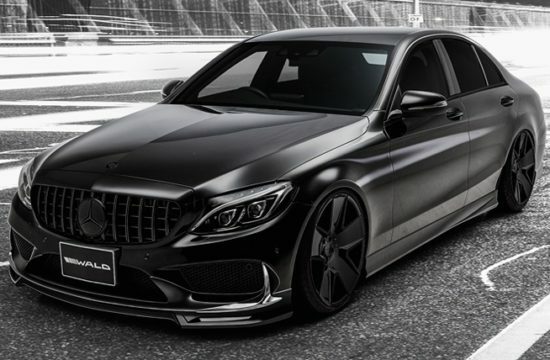 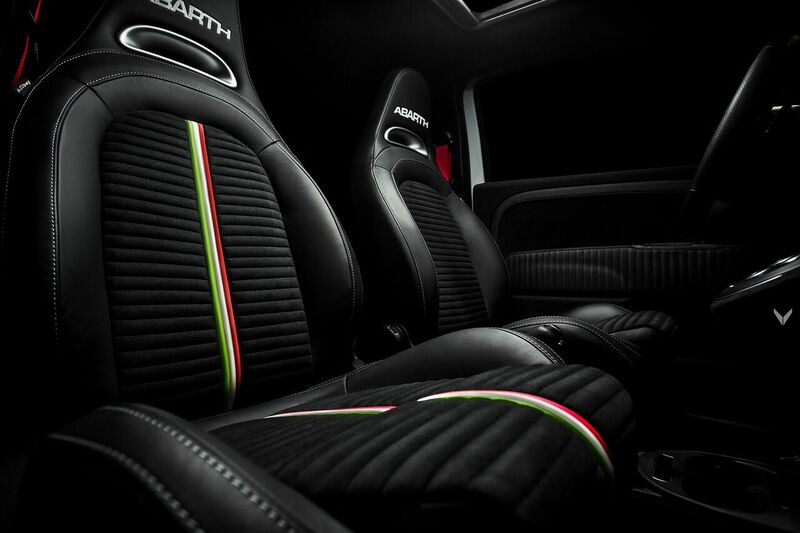 Nowadays these rank among the tuning world’s elite thanks to jobs like this. 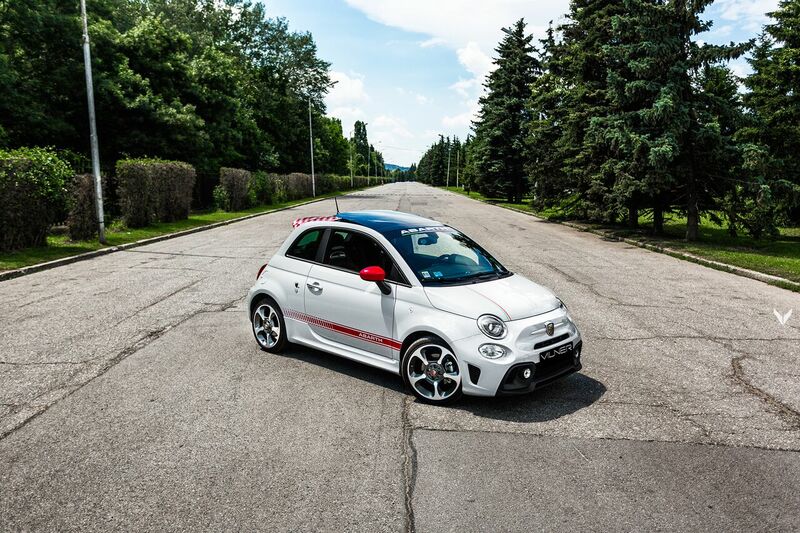 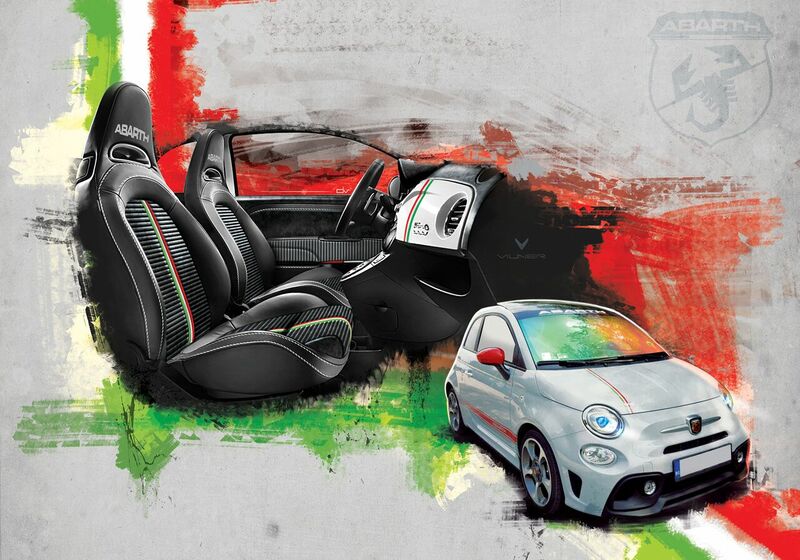 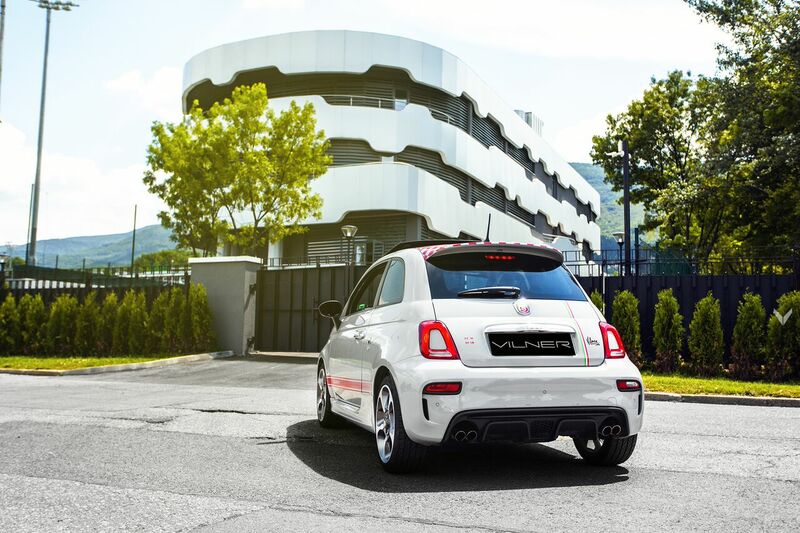 The Vilner Abarth 595 is one of those exquisite tuning works that requires a deep look before you can appreciate it. 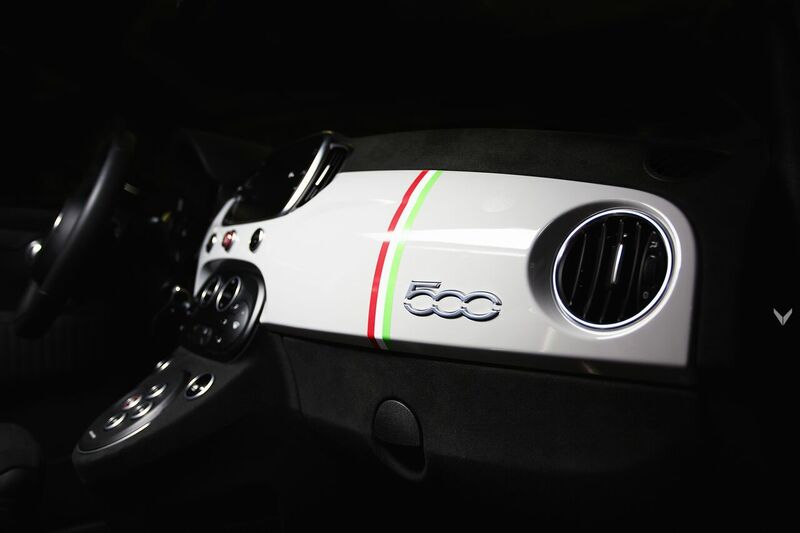 So let’s dive in and so just that. 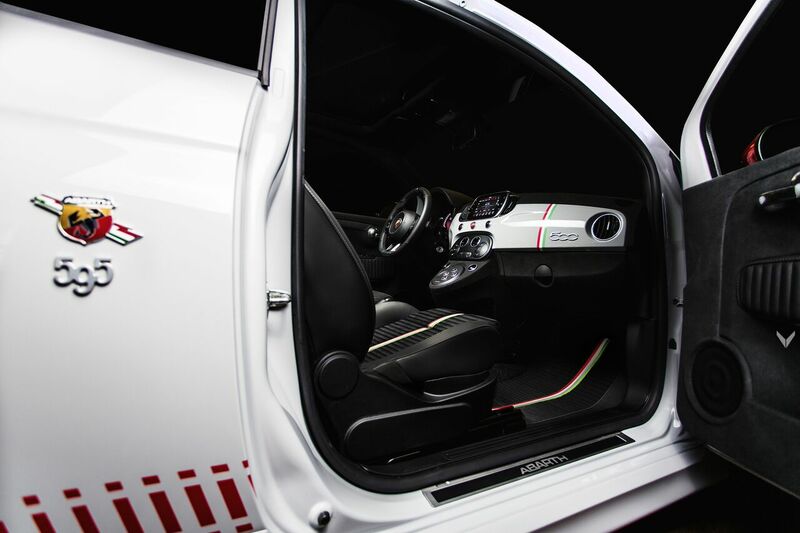 Wanting to make this Abarth 595 “more Italian than the original,” Vilner starts by bringing the tricolore stripe to the interior. 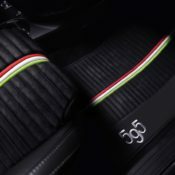 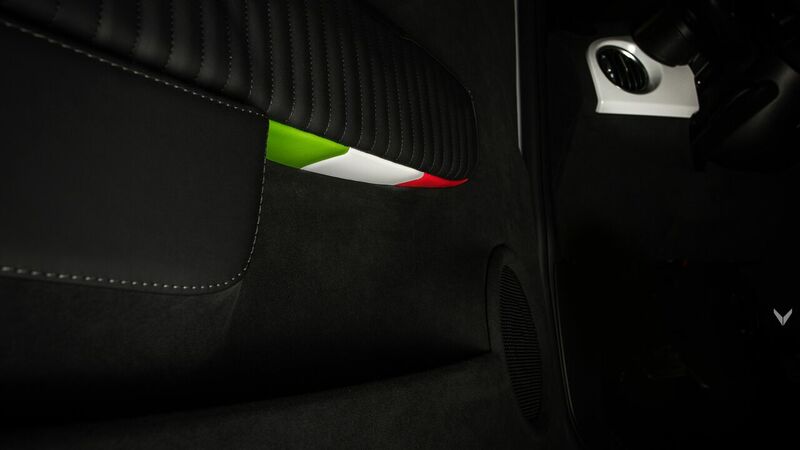 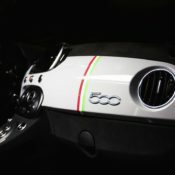 You can the iconic tribute to the Italian flag on the ‘Ghiaccio White’ dashboard as well as the passenger side’s floor mat. 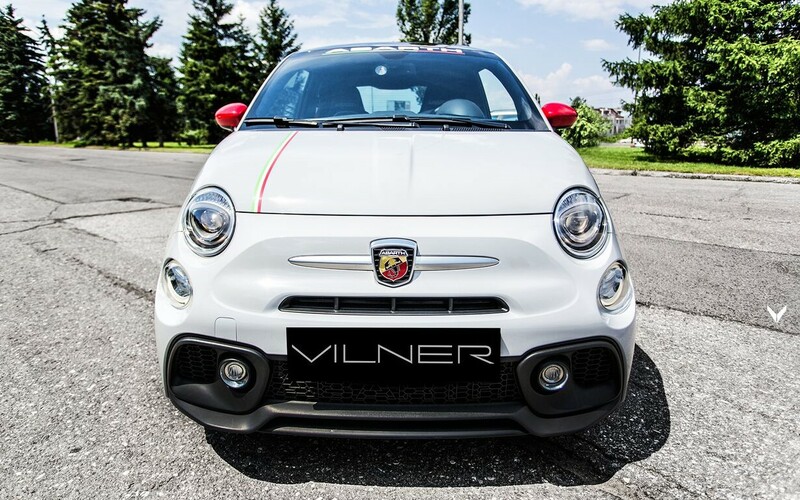 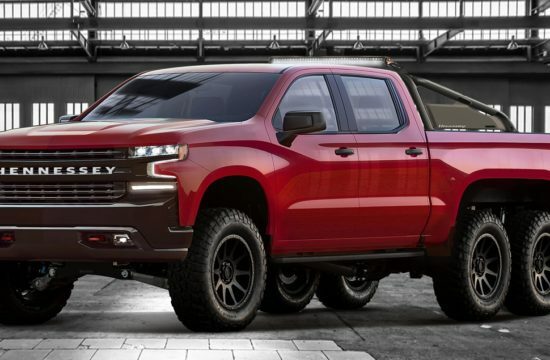 The reason the stripe is one the passenger’s side is because Vilner didn’t want it to be obscured by the driver. 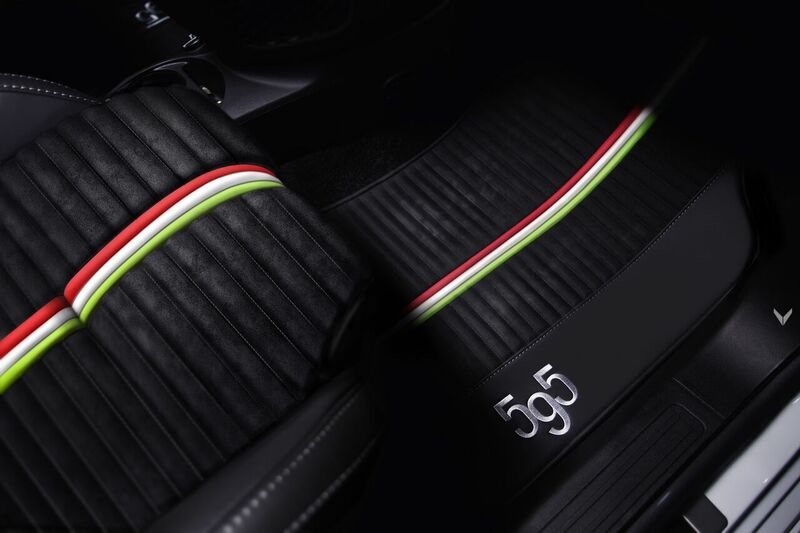 The mats themselves are corrugated Alcantara featuring ‘595’ embroideries. 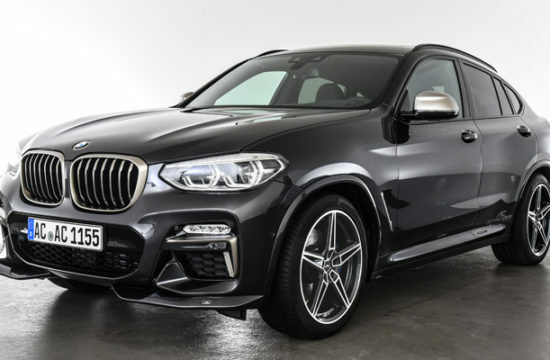 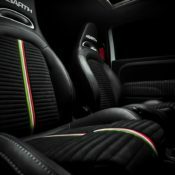 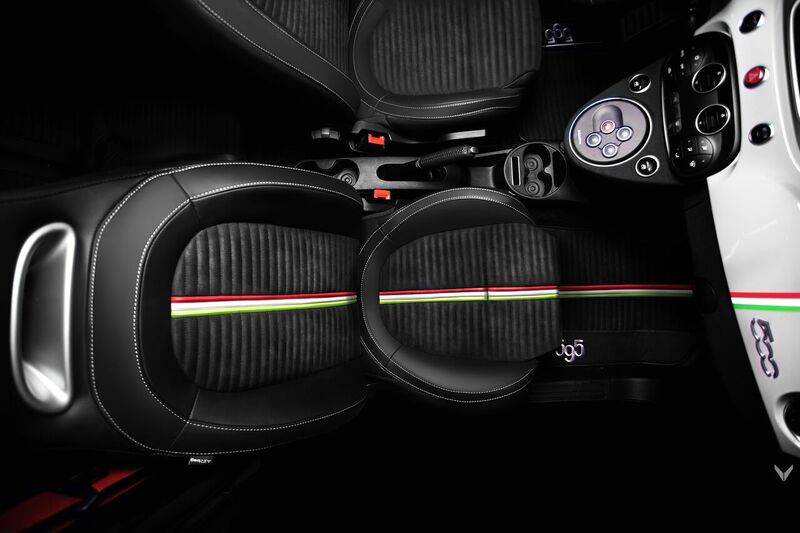 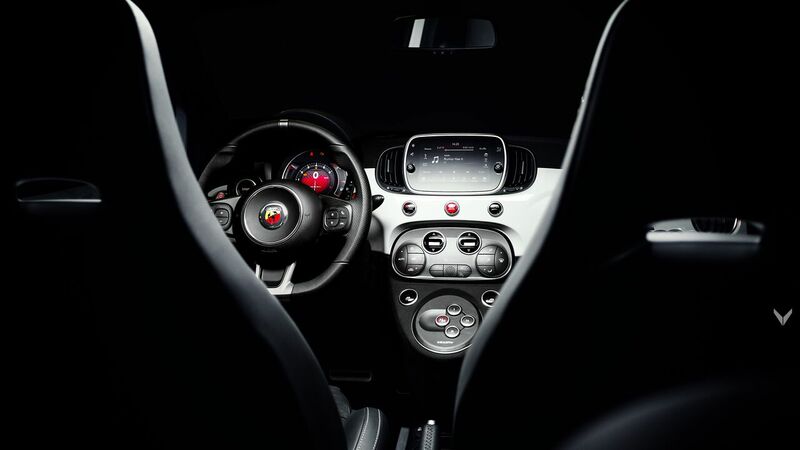 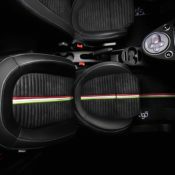 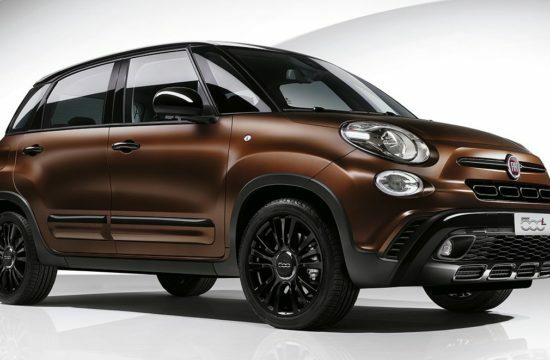 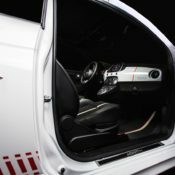 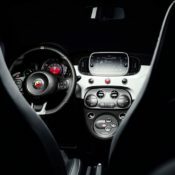 The treatment for Vilner Abarth 595 continues with corrugated Alcantara and flag stripes for the sea’s middle section, black Alcantara wrapped central console and surroundings of the panoramic roof, plus seatbelts that are now red. 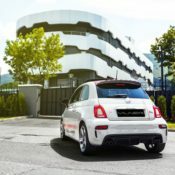 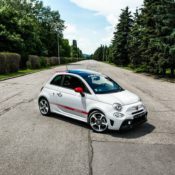 Thetuner has also added some exterior goodies, including ‘Abarth’ stripe on the top of the windshield and spoiler on the back wrapped with red/white checkered flag. 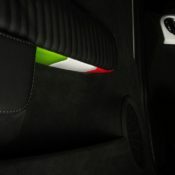 As a gift to the owner Vilner has included a special bag made from the same exquisite material used in the interior. 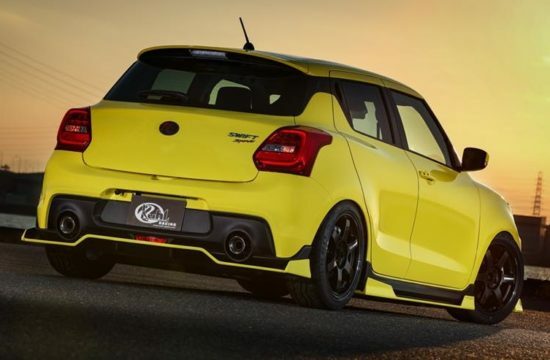 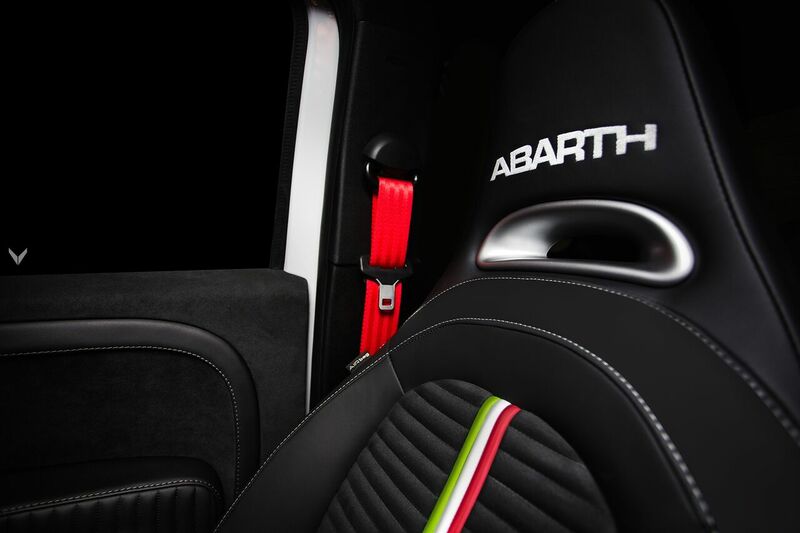 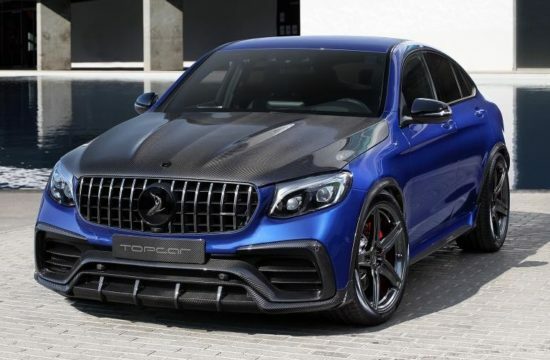 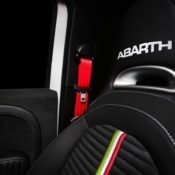 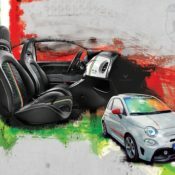 The highlights of the bag include red ‘seat belt’ shoulder strap, carbon fibre buckles, the Italian flag made from leather and, of course, the Abarth’s scorpion.